we will email you more information. Susan Shumsky of Divine Travels is a member of Travel Service Network, Inc. (TSN). For Tour Fees, CLICK HERE. 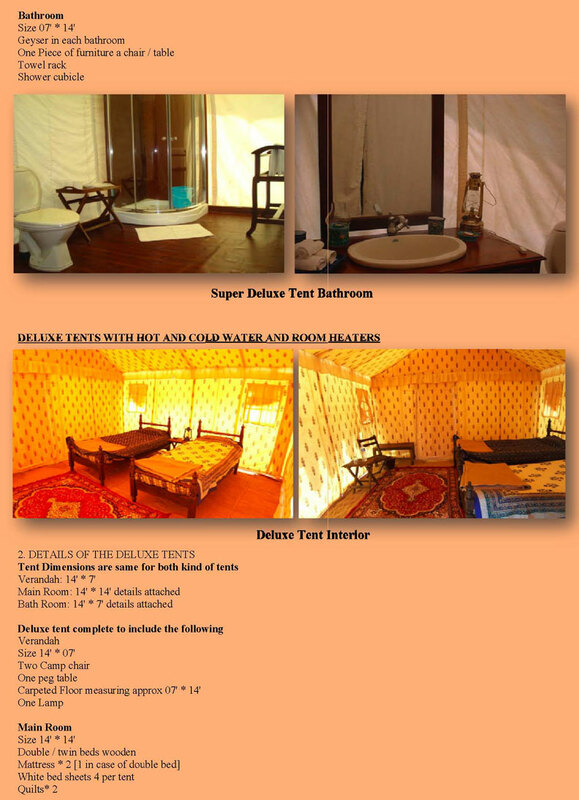 On your Kumbh Mela Allahabad 2013 Tour, you wil be given the opportunity to stay right on the grounds of the Kumbh Mela in a luxury Swiss Tent, or in a 4-star category hotel room. You can stay in a single room or a shared room. If you do not have a roommate, we will do our best to help you find one. 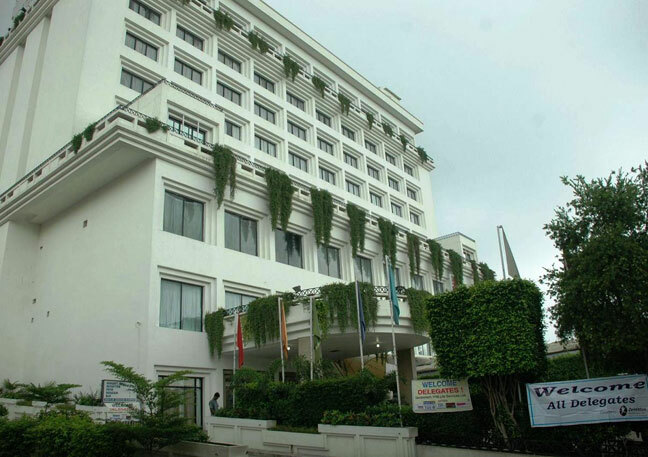 The hotel will be in Allahabad at Kanha Shyam or another hotel, depending on where we can find accommodations during the extremely crowded Kumbh Mela period. 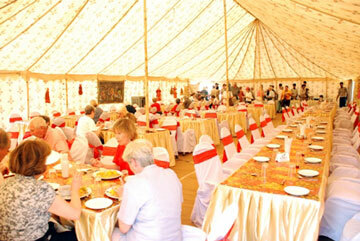 The Swiss Tents at the Kumbh grounds will have attached toilets, hot and cold showers, and wash basin. 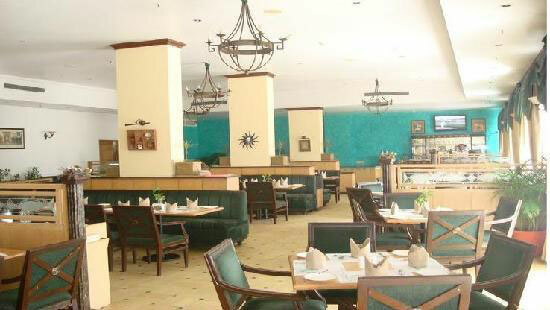 The Swiss camp and the hotel in Allahabad will include all meals. We have the same luxuries and specious camp area with well-knit motivated teams of committed people within the Kumbh Mela area in Allahabad which is under the U.P. Government -- which we have used in Haridwar Kumbh Mela, 2010. We have efficient network of local vendors and interceding with government bodies to run the show in its fullest. Our company Divine Travels started to operate this mega event since 2001 along with Ardh Kumbh Melas at major places in India, and we are one of the key players of Kumbh events since then. The Maha Kumbh Mela at Prayag in Allahabad will be operating January 24 to February 25, 2013. 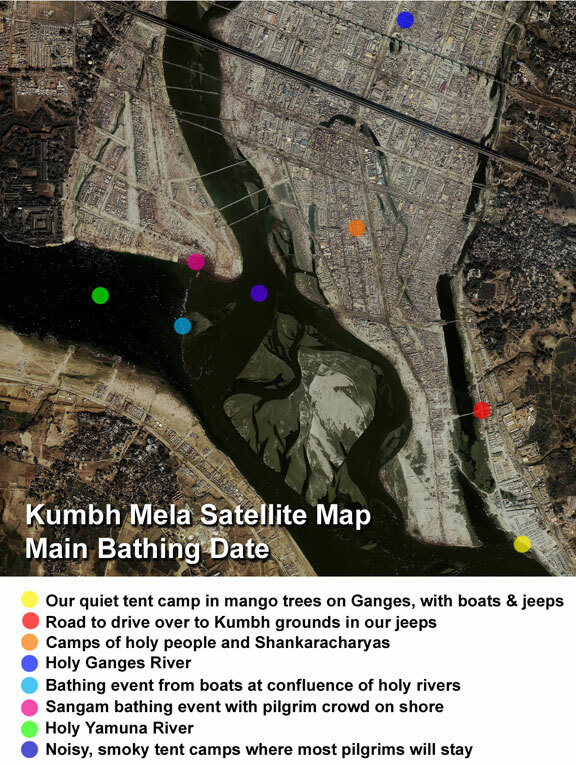 The Camp: In every Kumbh Mela we accommodate the Kumbh Mela participants coming from across the world in comfort and with hygienic food in tents/camp. These tents are easily accessible to the Mela Ground, i.e., located within distance of 3 to 4 km. 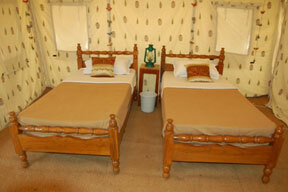 We mainly offer two different categories of tents to the participants according to their desires. 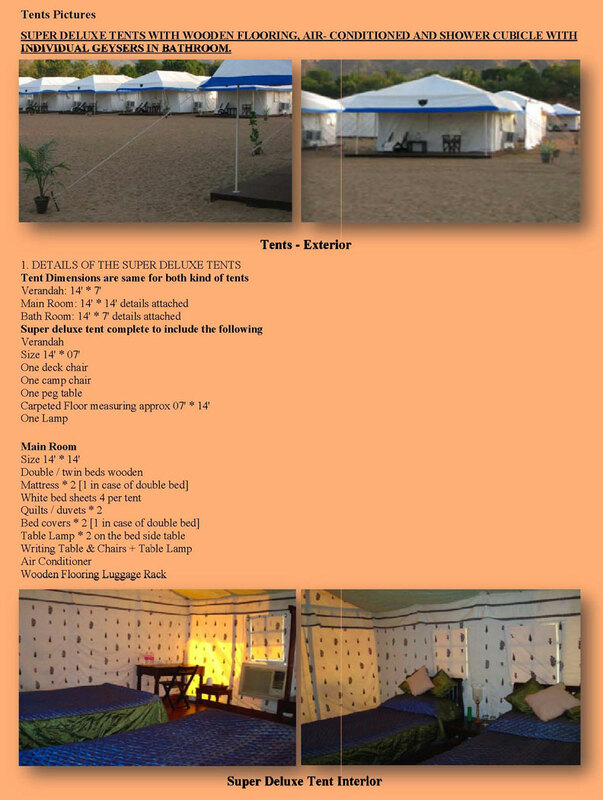 These are deluxe tents and luxury tents, which provide you the elegant comfort and high levels of service and give you value throughout your stay at the event in India. - Two Bottles of mineral water per day per tent. Meals: Vegetarian meals only, at pre-appointed times, will be served in the dining area served by well attired and trained service staff. 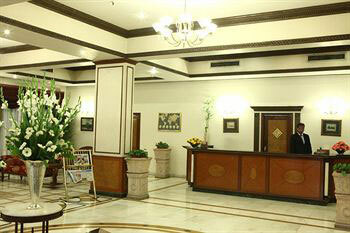 Reception and Welcome: Guests will be welcomed with Garlands and welcome drink on arrival. Separate tent for reception area. - Sit around the Camp fire will be organized every evening. Security: Round the clock security by professionals will be provided to make the guests feel fully secured. 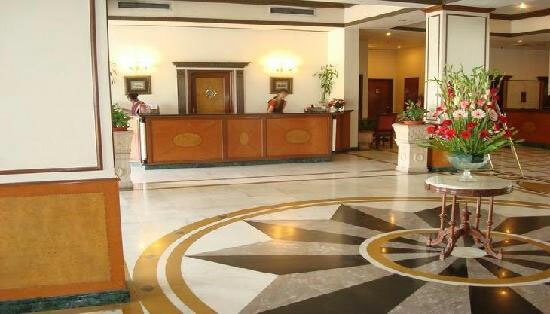 Essential services: Essential services will be provided round the clock with the duty attendant at the reception. First Aid: A first aid box will be made available at the reception for any kind of emergency. Hot water will be provided to guests on demand free of cost. Phone and Internet: Mobile phone and mobile Internet access will be available at tent camp via cell service. 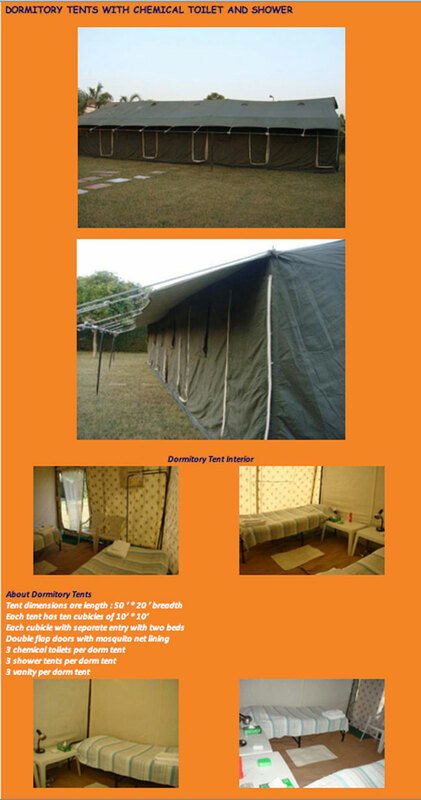 Kumbh Camps aims to provide the ultimate Camping experience to the guest during your stay in Kumbh Allahabad 2013 at a private bank of the River Ganges. These will be Deluxe Swiss Camps with attached toilet/bath and running water, with all other amenities of highest standards. 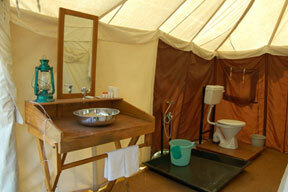 Each tent has its own bathroom, wash basin, and hot and cold shower. There will be a common dining hall. Our specialized chefs will prepare meals as per the taste of the international clients, and cultural activities will be organized in the Camp lawns on a daily basis. You will be able to easily walk to the Kumbh Mela grounds from the Camp. 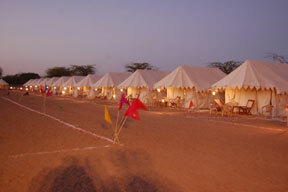 The Camp is about 3 km from the Kumbh Grounds, a walk of about 20 minutes. 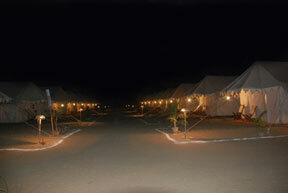 Kumbh Camps is a luxury camp set up and personally managed by the Professional Staff of a major camp provider. 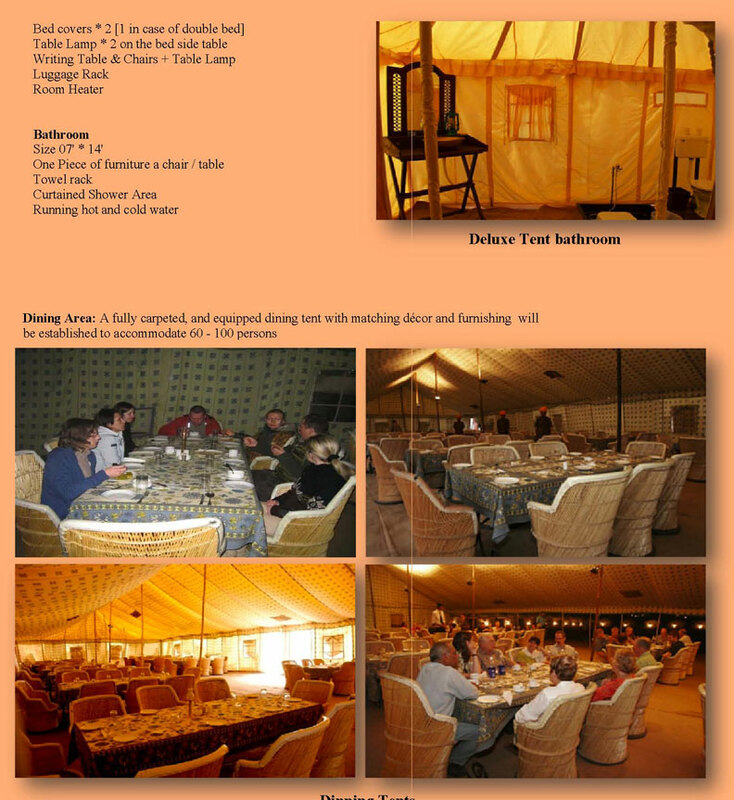 Camps are set is a unique combination of modern day amenities and the Royal tradition of living in exotic tents when traveling. It brings together the romanticism of being one with your surroundings while enjoying the comforts of the world that you have left behind. 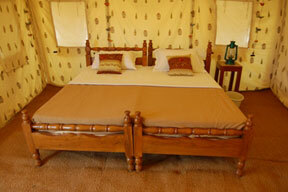 Kumbh Camps will have 100 exclusive luxury tents with en-suite bathrooms. 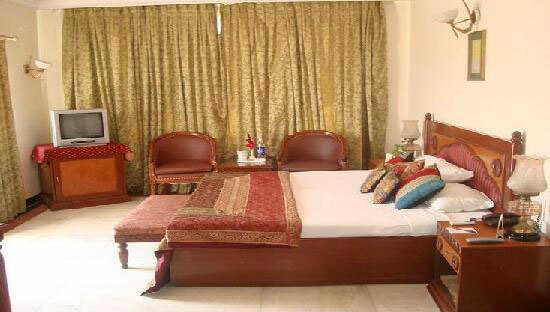 Located at Allahabad, Hotel Kanha Shyam offers business as well as exotic holidays in India. 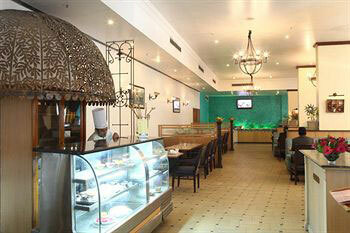 Make the best of a business meeting or event by benefiting from our award winning facilities. 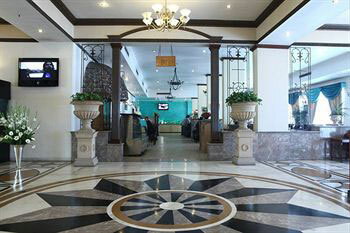 You can plan your trip ahead and complete your reservation online now. 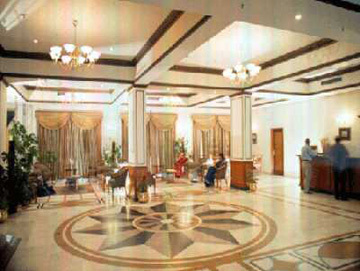 Discover the cultural heritage and diversity of India while we make your stay a memorable one. All rooms equipped with international and domestic direct-dial telephone, entire hotel Wi-Fi connected, Television, four channel music system, in house video, live satellite news and entertainment transmission, hair dryer (on request), mini bar, tea / coffee makers. Comfort and elegance define Deluxe Rooms, which are decorated with modern Asian touches and wood accents. 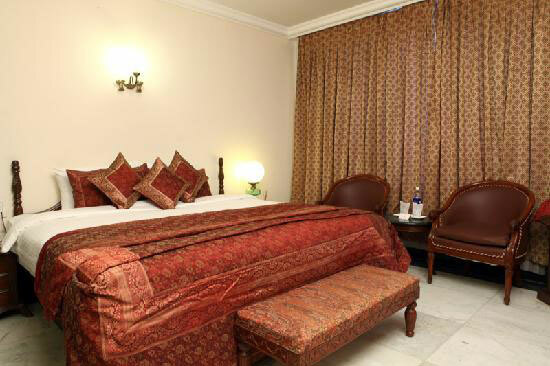 Each Deluxe Room offers tastefully modern furnishings. Rooms feature a large satellite-equipped television, Wifi Internet access, an executive writing desk and a mini-bar/refrigerator. The spacious, airy bathroom offer special bath products. The multi Cuisine restaurant at the lobby floor is the ideal place for a high powered breakfast, business or kitty lunch or a quiet dinner. Your comfort is our priority which is why we provide you Transport@ Kanha Shyam in premium cars equipped with city maps, newspaper, Magazines, mobile phone charger and a choice of Indian & western Music. Hi-speed internet at Hotel Kanha Shyam help you stay you connected. 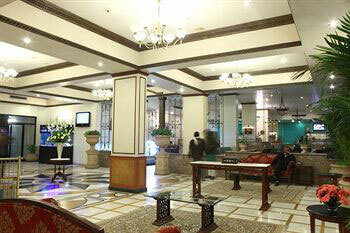 Entire hotel hotspots Lobby, coffee shop, Restaurant all rooms, all conference & banquet venue has Wi Fi connectivity. With holistic approach to the health, our wellness centre offers steam, Sauna & gymnasium for the health conscious (opening shortly).